Blinc is a mascara that adds both volume and length to your lashes, that can’t run or smudge and yet doesn’t require a make-up remover to come off. 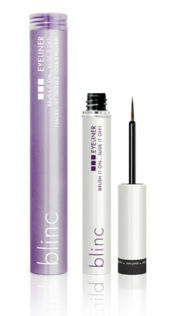 Blinc Mascara & Liner operates from a completely different premise than other mascaras. 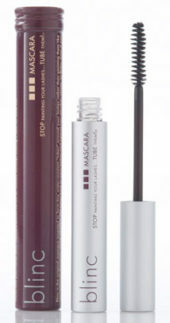 Its unique formulation forms a tiny individual coat or “tube” around each eye lash to create a striking look that offers the tenacity of high performance water resistant mascara without the inconveniences associated with its removal.